Once again, consumption of paint was the goal for the week. On Monday, Phil and I finished stripping, sanding and cleaning the nose. 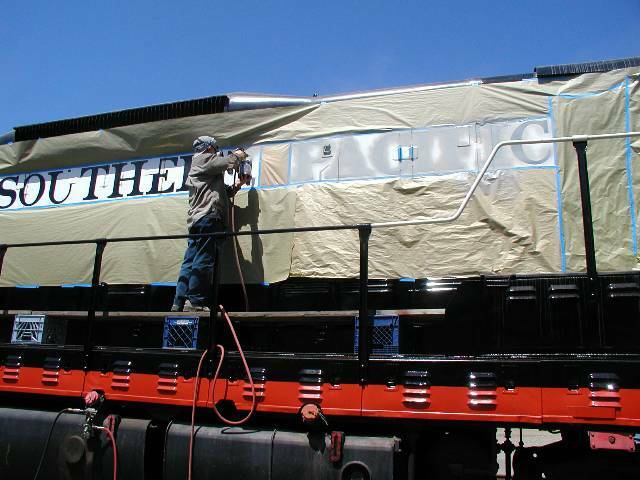 On Tuesday, we put the numbers on the engineer's side of the cab and primer on the lower portion of the nose. 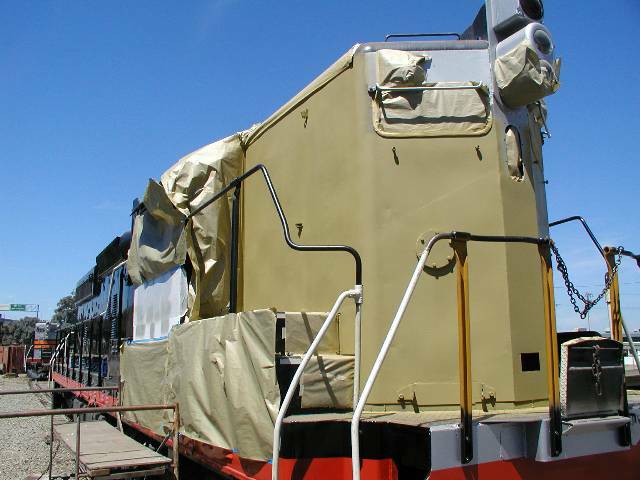 On Wednesday, we erected the scaffold around the nose and began stripping the paint from the upper area. 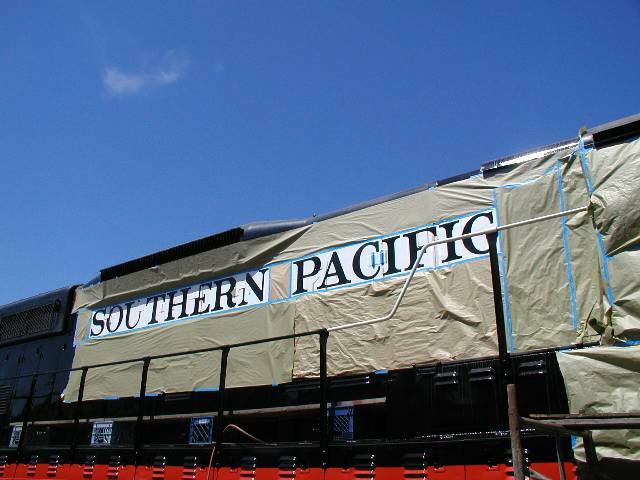 Thursday there was more cleaning and on Friday, I primered the rest of the nose and put the paint mask for the word "Pacific" on the engineer's side. 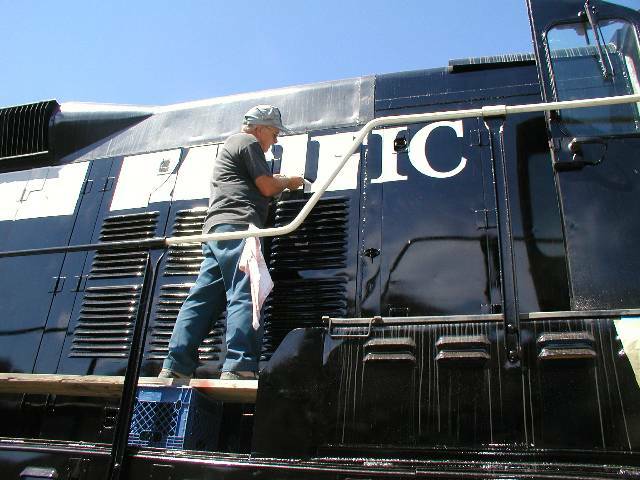 Saturday was entirely consumed by masking for the word "Southern" and then painting the lettering. 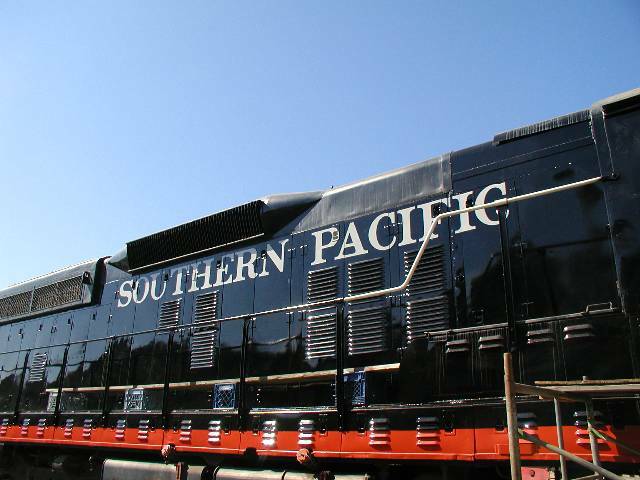 There is a bit of cleanup left to do but the "Southern Pacific" look pretty good. 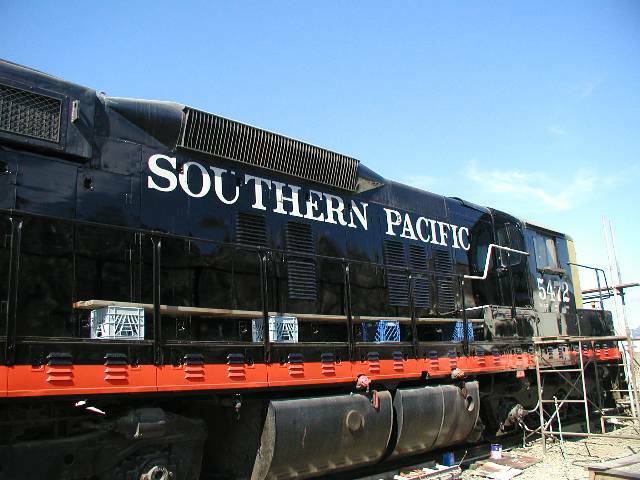 I made an interesting discovery while looking at some SP SD9 photos. 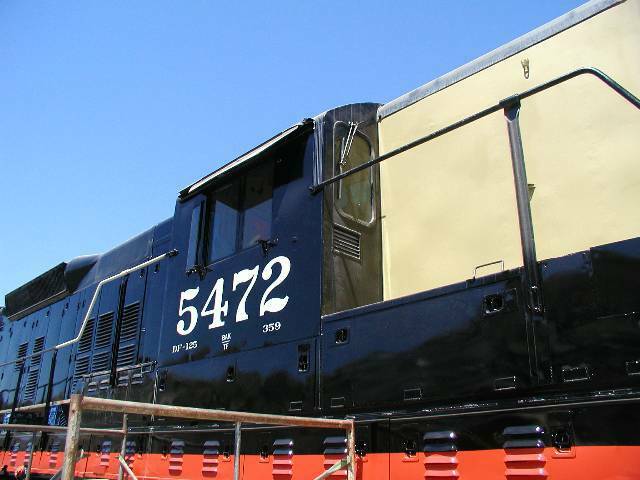 The 5472 had small number board access doors on the front, just like those on the rear. But, where are they today? The current metal of the nose shows no signs of the doors which confirms my speculation that at least part of the nose had been replaced. It now appears that all of it was changed out. Why? I would love to know.